In order to keep the spirit of infinite Gobi, Mongolians respect the light tan to dark-brown natural colour of their camel hair. 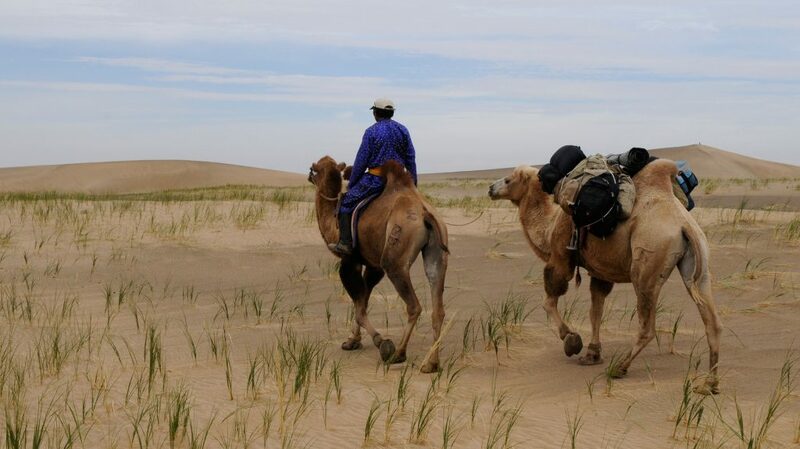 We wouldn’t dream of dyeing the camel hair, then it will lose its live spirit which breaths with the presence of Gobi. The Gobi Desert in Southern Mongolia has extremely harsh seasons. The summer heat is burning whereas the winter is freezing. Spring storms and autumn winds are testing to every creature. 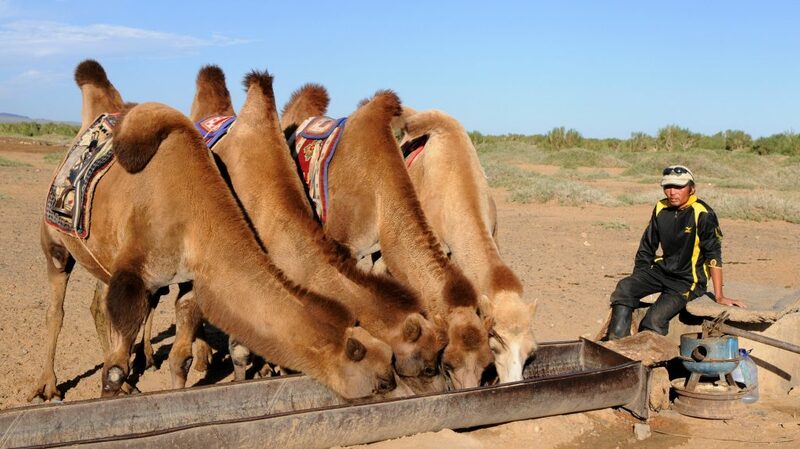 There are no other species like the camel that has adapted to this harsh climate. 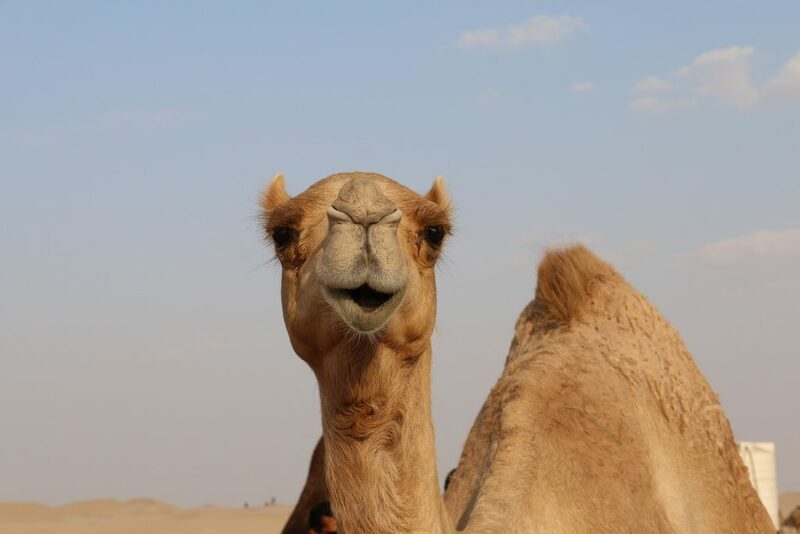 That’s why camel wool is famous for its thermostatic properties which can protect and insulate the animal from the extreme cold conditions as well as keeping it cool in the hottest summers. The camel wool is collected not by shearing or plucking but gathered as the animal sheds its coat. Both the outer coat and the undercoat are gathered at the same time and, later with the help of combing, the coarse outer hairs are separated from the finer ones. Camel wool consists of cashmere, inter-blended wool and fleece. The coarse fibre is also waterproof, that is why nomads use it for coats and the outer layers of their yurts. Pure camel wool has high moisture managing properties and even becomes softer with use. 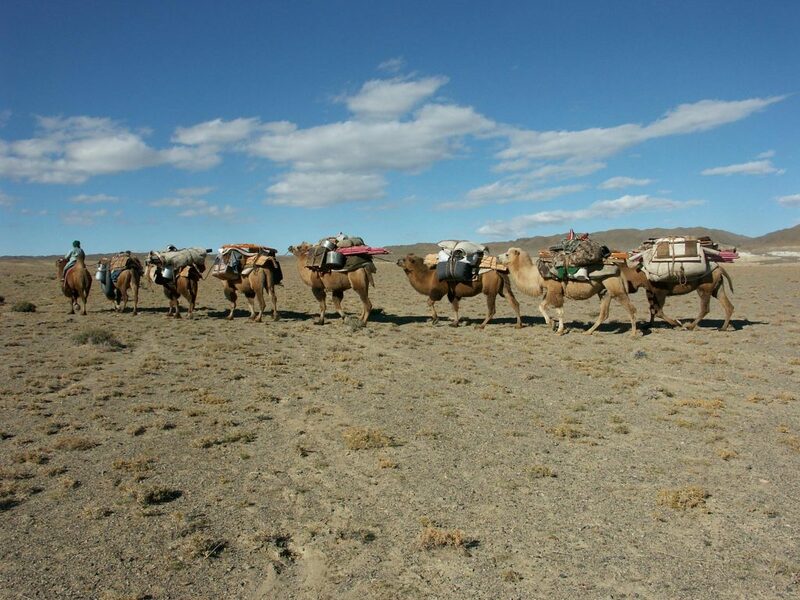 We work closely with the Mongolian nomads to ensure all trade we carry out is fair. Not only is the wool ecologically friendly but also it can increase the income of the herder families. This is crucial, especially for those herders who live with their camels in isolated rural areas. Mongolian Handicrafts chooses only the pure camel wool. We do not mix with other wool or synthetic fabrics. I am proud to follow my soul, regardless of hard times, not polluting the earth with synthetic fabrics. I respect deeply this humble and solid creature. The eyes of mother camel are the most harmonious mystery I have ever experienced.